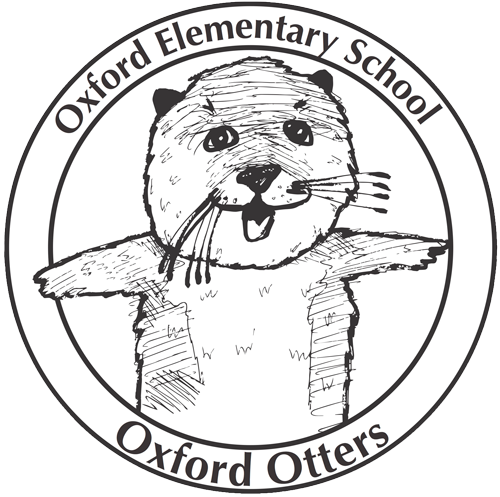 The Oxford After School Program is part of BUSD’s Berkeley LEARNS After School Program. Helping children reach their potential by providing academic support, recreational activities, and enrichment classes, Berkeley LEARNS provide a safe and nurturing environment which gives students a chance to explore their interests and experience new things. We are called LEARNS, or sometimes our former name OASIS, and we strive for both to be applicable to what we offer. Our program is a balance of play, enrichment, and academics. We follow the same school rules—Be Safe, Be Responsible, Be Respectful and Be An Ally—as during the school day. It can be a long day for our students, and we want to provide a learning environment but with a slightly different atmosphere, a little more relaxed and low-key. See the Berkeley LEARNS page on the BUSD website for the application, the fall’s orientation dates and other materials. Also, contact Oxford’s LEARNS Director Aaron Grayson at (510) 644-8883 or stop by his office in the cafeteria some time between the late morning and 6:00 pm. Students and siblings who are currently enrolled in a program receive priority for the following year; additional spaces are filled on a first-come, first-served basis. You can register your student(s) during the first week of school. The Berkeley LEARNS programs receive reimbursement for students who attend five days a week for three hours a day. Full-time enrollees will receive priority in registration, though every effort will be made to accommodate parents seeking part-time enrollment. Drop-in students are not allowed. After School fees are due monthly, and are on a sliding scale based on gross monthly income and family size. 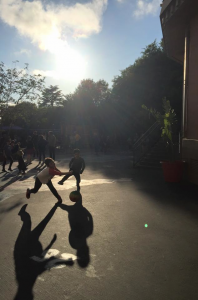 Berkeley LEARNS is committed to working with Oxford families to ensure that anyone who needs after school care can take advantage of our program. Once approved by the program coordinator, the rate will be honored for the entire school year. However, program fees are not pro-rated for the shorter months of December (winter recess), April (spring recess) or June. See the BUSD Berkeley LEARNS page for this year’s fee schedule. The After School Program runs Monday through Friday from the end of the school day until 6:00 pm. The program does not operate during school holidays nor during the first week of school (which is a partial week, Wednesday–Friday). During Homework Hour, students are separated by grade level. Each group works with one of the After School staff in a classroom on their homework, reading and occasionally special academic projects. 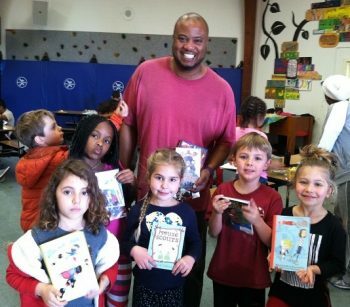 Some children have the opportunity to read with a UC Berkeley student mentor through the BUILD (Berkeley United in Literacy Development) program. The After School Director works with the school Literacy Coach to figure out who would benefit from some extra reading time. A variety of enrichment classes are provided by After School Program staff and outside specialists. These classes, which may change from year to year, currently include art, Afro-Haitian dance, cooking, magic cards, chess, debate and more. for more information on the chess enrichment class. Enrichment classes are funded by after school fees. Some of the classes that are provided by outside specialists have an additional fee for class materials. Late bus requests are made to BUSD Transportation by each BUSD elementary’s after school program following enrollment. Service can not be guaranteed—it is granted based on schools in your child’s attendance zone, time of pick-up and available space. Late bus drop offs are at either Rosa Parks Elementary or Longfellow Middle School.